The anniversary dance was a special dance for all the married couples at the wedding. Throughout the song, starting with less than one year (at this point the newlyweds were escorted off the floor), the DJ continued to name off the number of years that couples were married. 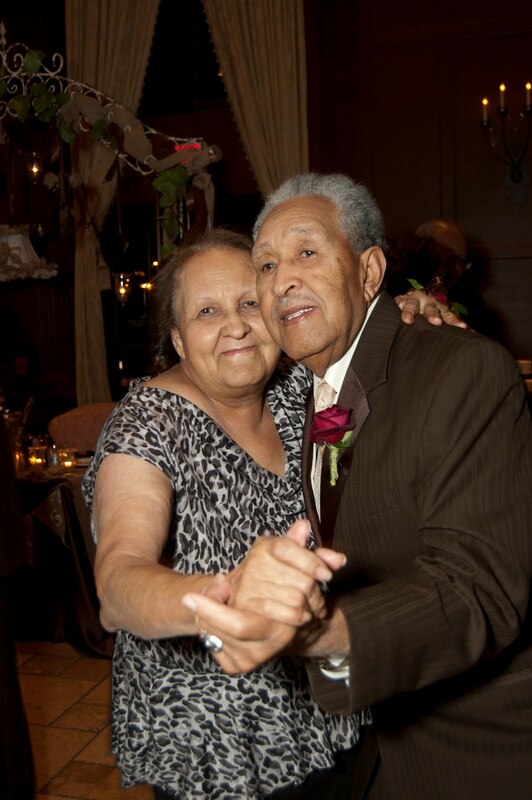 It continued with less than two years, five years, ten years, and so on until the couple who had been married the longest was left dancing. The winners were none other than the maternal grandparents of the bride, my parents, Vernell & Marie Pete from Lake Charles, Louisiana. 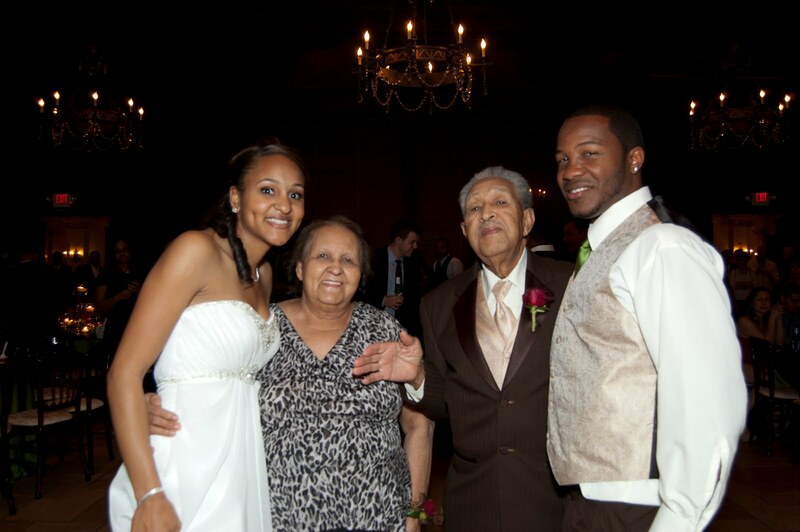 They will be celebrating their 55th anniversary this coming November, their anniversary date 11/23/1957. 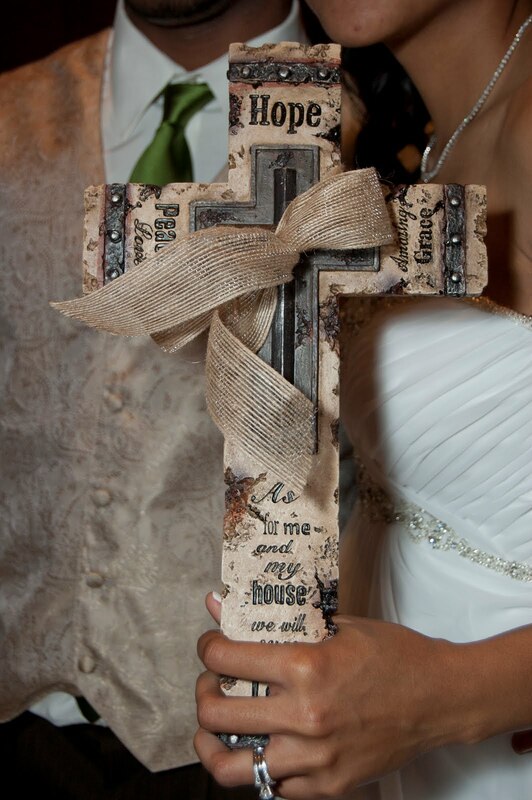 The newlyweds gifted them with a beautiful cross engraved with words like, hope, amazing grace, peace... and the scripture "As for me and my house, we will serve the Lord." Joshua 24:15 Anniversary Dance pictures are here (click)! Plus 2 more posts the bouquet & garter tosses. 55 years what a blessing!!! I love that idea of doing an Anniversary dance, if I wasn't already married I'd have that at my wedding reception :)! !Congrats to your parents, what a beautiful model of marriage to have for your family.